Amin graduated as a Dental Surgeon (Zahnarzt) from the Medical School of Hanover (MHH), Germany in 2004. 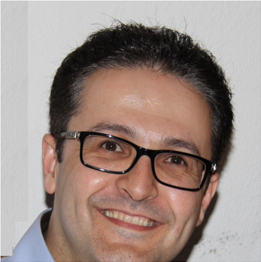 His academic and clinical carrier began in 1991 when he graduated as a young Audiologist (BSc) from Melli University in Tehran. Amin is a clinician with over 25 years experience in healthcare Read More..
and has been working in London since 2005. He completed several postgraduate courses including digital CAD CAM, LASER, Ceramic processing and orthodontics among others to be able to provide modern and high quality cosmetic dentistry to his patients. He is an Invisalign (clear braces) provider and certified for facial aesthetic (Botox and fillers). He completed the postgraduate certification in” Multi-system oral Implantology ” at Trafford General Hospital , Manchester. He is currently attending the Post Graduate Diploma course of Leadership & Management in Dental Health Services at the Royal College of Surgeons. Completed her D.D.S. degree at the world renowned Karolinska Institutet in Stockholm in 1993 and 3 years full time orthodontic specialization training with a Master of Science (MSc) degree at the same university before she was appointed as a lecturer. Read More.. Her scientific work has been published in the prestigious European Journal Of Orthodontics. Hossein qualified as a Dentist from the University of Leeds excelling with Distinction/Merit in many of his examinations and thereafter began training at the London Deanery, University of London. Read More.. He worked in numerous practices in Central London whilst carrying out an extensive postgraduate course programme in Restorative Dentistry studying at the Royal College of Surgeons of England and currently following up an MSc in Restorative Dentistry (Periodontics, Endodontics and Prosthodontics). 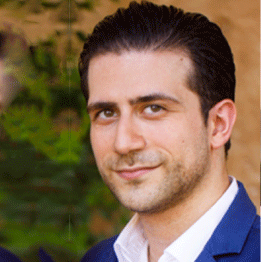 He has additionally gained Special Interest (SI) in Periodontics and Endodontics while studying at the Royal College. He has studied the Diploma courses with the Apothecaries at the Barts and the London Medical School, Queen Mary University of London for Forensic Medicine and Forensic ID. Having a keen interest in cosmetic dentistry and complex restorations, Hossein spent a great deal of time outside the surgery working close with experienced laboratory technicians to select the finest grade porcelains, alloys and materials for his work in order to producing beautiful, long lasting and predictable restorations whilst at the same time keeping a minimally invasive approach. He lives in Chelsea with his wife and their cat Lilia. Outside of Dentistry he enjoys travelling, galleries and is an avid reader. During the course of his career Nic has obtained extensive knowledge and expertise in dental implantology, oral rehabilitation of advanced multidisciplinary cases, Read More..
International Team for Implantology (ITI). Ali qualified with doctor of dental science degree in 2007 and has completed numerous postgraduate courses. He has over 10 years experience working in general and specialist dental practices as well teaching in academic institutions. Read More..
Ali is a competent clinician in all aspects of dentistry and has keen interest in cosmetic, smile makeover and advanced restorative care. He has completed comprehensive 4 years postgraduate training of “Master of Clinical Dentistry in Prosthodontics” with special qualification from Europe’s leading dental school, Kings College London as well as membership in prosthodontics from highly prestigious Royal College of surgeons. He is certified invisalign (Clear braces) provider as well as certification for laser dentistry and digital dentistry CAD/CAM for same day crowns, bridges and veneers. 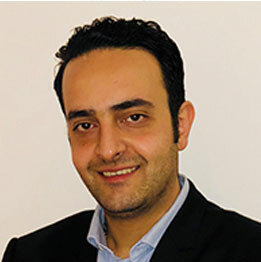 Ali is a gentle and caring dentist who enjoys enabling his patients to overcome their fears of coming to the dentist by providing painless dentistry in a relaxed environment. He is known by his clients to tailor individual treatment plans according to patients’ dental needs and budget. Patient satisfaction is his number one priority and this is what he dedicates himself to achieve for each and every one of his clients. 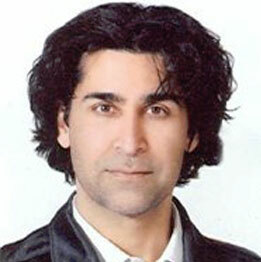 Dr Arash qualified in 20000 from dental School of Aachen, Germany. Following several years work as a General Dental Practitioner in the UK he pursued his specialist training later on at the same university. 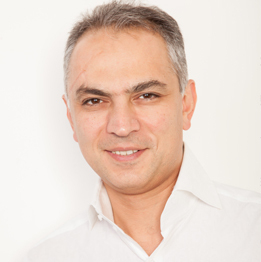 Dr Arash has been involved in Undergraduate training and guided Implantology courses in the United Kingdom. He is the Educational Director of the Digital Dentistry Dentoalveolar surgery UK and also works as a Specialist at Chase Farm hospital in London. His main areas of interests are full mouth rehabilitation through guided Implantology and orthodontic surgery. Qualified as a dentist and completed her Dental Hygiene diploma in the Philippines. 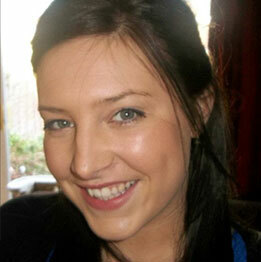 Marion is also a qualified and registered dental nurse here in UK since 2013. She worked as a Dental Nurse tutor after completing the Award in Education and Training (PTLLS) Level 3.
she also holds an NVQ2 in Business and Administration awarded in 2013. 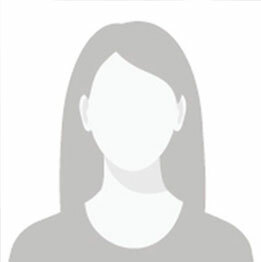 Marion has worked for a number of years as a treatment coordinator and as a practice manager and continuously update herself attending CPD courses. On her spare time, she likes to spend her time with her family watching movies and do volunteer work in her parish community. Farah qualified as Dental Hygienist and Therapist from Eastman Dental Institute in 2009. 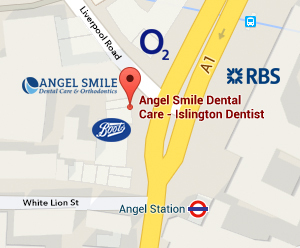 She then began practicing in multiple practices across London and Harley Street before joining us at Angel Smile. She has a renowned reputation among her patients and is a proud member of the team here at the practice She has a well known gentle approach and at the same time has a passion to provide excellent clinical care. 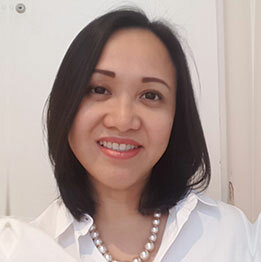 She is an enthusiastic and active member of the British Society of Dental Hygiene and Therapists and regularly attends postgraduate Hygiene courses to be at the cutting edge of the hygiene profession. 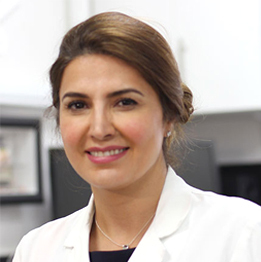 Farah has a pivotal role to play at Angel smile by providing the foundations for excellent oral health. She is working with our dentists to provide comprehensive care to our patients. 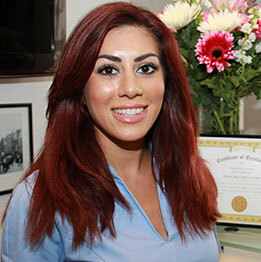 Outside of dentistry Farah is keen on travelling, baking and keeping active. 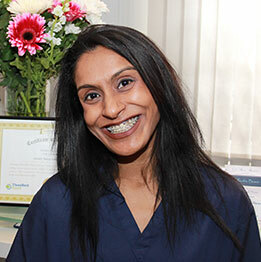 Rumana is a qualified dental nurse and GDC registered since 2008. She is cooperating with Angel smile since 2011. Her smiling face and kind personality make patients feel welcome and put them at ease for any treatment. She loves dentistry as a passion. Her hobbies are basket ball, rock climbing and dancing. Iryna has been working in Private Dentistry since 2013 and successfully completed her registration in 2015. She joined Angel Smile Dental team in January 2016. Her over 20 years experience as a general nurse in hospital enables her to provide care at the highest level of standards. She loves her work and always looks forward in increasing her knowledge . Layla is a dentist ( Not practicing in UK) from Algeria with a diploma as a specialist in restorative and endodontics. She worked at the university of Algiers and taught to student of different levels practical and theoretical courses for 10 years. She joined Angel smile and helping us as coordinator . 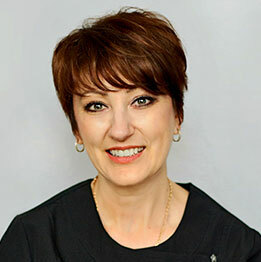 She enjoys discovering more about digital dentistry, implant, invisalign and CEREC technologies. She speaks French, Arabic and English . Rebecca is a registered dental nurse since 2012 and currently studying Dental Hygiene at the Eastman Dental Hospital. Her hobbies are going to live music and photography.